Calgary Mayor Naheed Nenshi has slipped again in the popularity department, and less than half of Calgarians are pleased with how city councillors are operating, new poll numbers suggest. According to Mainstreet Technologies, just 57 per cent of Calgarians think the mayor is doing a good job, while city councillors scored only a 47 per cent approval rating. Nenshi, who was recently chosen as the World's Top Mayor, has consistently seen approval ratings in the 70 and 80 per cent range since he was first elected. In a March 2014 poll, Nenshi scored a 71 per cent approval rating — a nine per cent drop over an approval poll taken in April 2013. "We were surprised at the approval scores but the next election is two years away. What is troubling for individual councillors is Calgarians are sharply divided over their local representation. The scores for local councillors are particularly weak — most of the approval comes from those who 'somewhat approve' as opposed to those who 'strongly approve,'" said President and CEO of Mainstreet Technologies Quitto Maggi in a news release. 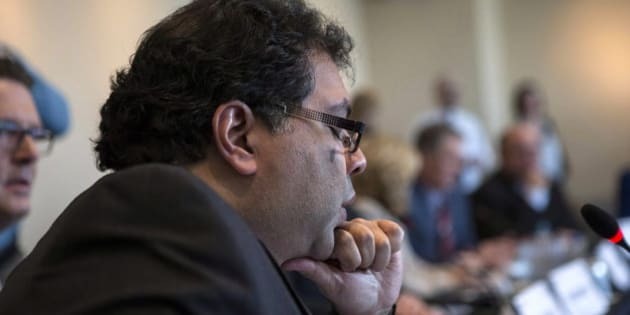 Maggi said die hard Nenshi fans are still backing the mayor, with 38 per cent of respondents saying they "strongly approve" of his performance. As well, the poll found that 70 per cent of Calgarians are carefully following the recent secondary suites debate. Mainstreet's poll found 42 per cent of Calgarians support widespread secondary suite reform, while 37 per cent disagree with the measure. Three out of four think the rules should be eased in areas where secondary suites are already allowed. "We've done other similar polls in other municipalities where we’ve seen similar splits and similar levels in terms of interest on a particular issue, but we’ve not seen anything like this in Calgary before," Maggi told 660 News. The poll, conducted Sunday via telephone, asked the opinions of 1,319 Calgarians. The poll is considered accurate within 2.7 percentage points, 19 times out of 20.